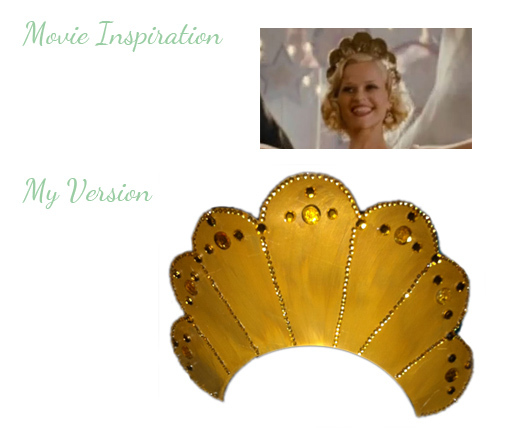 I recently watched the movie Water for Elephants for the first time and was very inspired by Reese Witherspoon's costumes and style. This movie is set in the early 1930's and is set at a circus. Reese's look is a homage to the starlets of the time like Jean Harlow and Mae West. She wears a period specific finger wave with pin curls and is a beautiful light blonde. Her costumes are wonderful too. She switches between wearing sequined leotards and tutus to slinky satin dresses. I happen to have my own "starlet" on hand, my friend Buffie, who is always generous enough to allow me to dress her up and take photos. We haven't done this in quite some time so I thought this would be a great opportunity to use this inspiration and hopefully create something wonderful. We have a photo shoot scheduled for Saturday and we are going to my step-niece's horse farm so that we can take photos with some horses. I thought that horses would probably be better to use than exotic animals considering we live nowhere near any and I don't want Buffie to get eaten during the shoot. I've been collecting and making items for the shoot for the last few days and hope to create a look worthy of the inspiration. This can sometimes be difficult on a budget, but I think so far it has been successful. I made this crown with card stock, metallic paint and rhinestones. 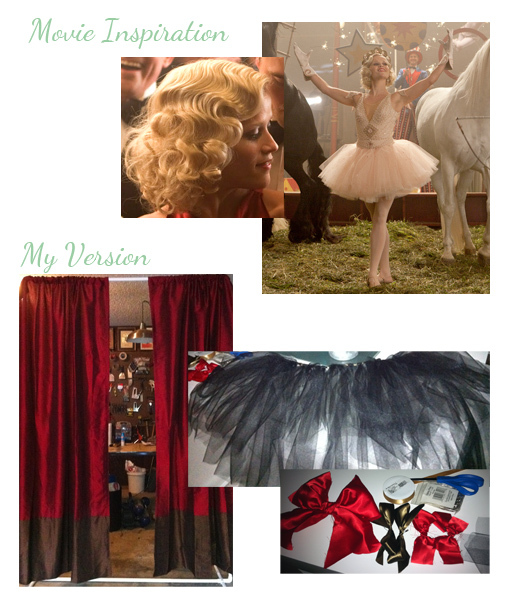 I made these no-sew tutu bustles and ribbon adornments. My husband Brad helped me make the curtain structure out of pvc pipes. Thanks Brad. No prob, I'm just trying to get you to buy me a drink(s) out of this project. I hope you are ready for some serious dirt, dust, spiders & other farm creepy crawlies!! I am a graphic/web designer and an artist. I am married and have two weenie dogs. I watch way too many makeup tutorials on youtube and style my hair for fun even when I'm not going anywhere. I love to watch movies and have terrible taste in music. © Bouffants and Beehives, Ali Williams 2012. Simple theme. Powered by Blogger.